The 2016 Missouri Arts Awards were presented in a ceremony in the Capitol Rotunda in Jefferson City on February 10, 2016. A special guest at the ceremony was Jane Chu, chairman of the National Endowment for the Arts (NEA). Chairman Chu was an arts leader in Kansas City for nearly two decades, culminating in being named president and CEO of the Kauffman Center for the Performing Arts in 2006, before being tapped in 2014 to lead the NEA. The ceremony was preceded by a performance, sponsored by Missouri Citizens for the Arts, by the St. Joseph Community Chorus, led by Artistic Director Dr. Elise Hepworth. The chorus’s founding director, Frank D. Thomas, is the Arts Education honoree of the 2015 Missouri Arts Awards. As always, the performance and the ceremony were free, and everyone was welcome to attend. Enjoy the remarks by the honorees as well as by Jane Chu, First Lady Georganne Wheeler Nixon, and Department of Economic Development Director Mike Downing in this edited video of the ceremony. Signature Image | Portrait of a Musician by Thomas Hart Benton is featured on the 2016 Missouri Arts Awards poster, the invitation to the awards ceremony, and the program for the ceremony. Depicting an archetypal Kansas City jazz bassist, the 1949 casein and egg tempera painting is publicly displayed at the Museum of Art and Archaeology in Columbia. Awards Artwork | Recipients of the Missouri Arts Awards other than Creative Community, which receives special signage, receive a handcrafted artwork created by a Missouri artist working in glass. Chris McCarthy of Park Avenue Glass, St. Louis, made the awards artwork for the 2016 honorees. 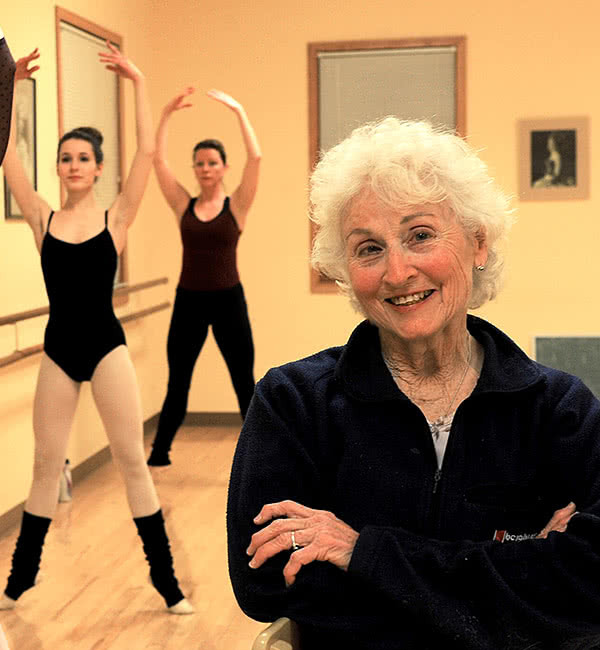 For more than five decades, dancers from mid-Missouri and beyond have enjoyed not only superlative ballet training but lessons in respect, discipline, focus, confidence, and teamwork with Halcyone Ewalt Perlman, artistic director of the Perlman-Stoy School of Ballet. Ms. Perlman was raised in Columbia in her parents’ dance studio. She began her dance training at age 14 and studied with luminaries such as Victoria Cassan, Alexandra Danilova, Celia Franca, Joan Hewson, and Igor Schwezoff. She also became an accomplished cellist, and her musicality is at the core of her teaching. Upon her mother’s death in 1967, Ms. Perlman assumed leadership of the school. One of her former students, Nancy Stoy, now works with her as associate director. The school offers classes from creative movement for young children, through training for aspiring professionals, to ballet for adults. The public concerts of the school’s performing wing, Mid-Missouri Dance Theatre, are full-flown performances with original works crafted to both showcase and challenge the students by guest choreographers and Ms. Perlman herself. She further enriches the community through collaborations with the Missouri Symphony Society, Columbia Art League and more. In 2016, STAGES St. Louis celebrates its 30th season of Broadway-quality productions of musical theatre. STAGES presents 144 performances every year to nearly 50,000 patrons via its mainstage shows and Theatre for Young Audiences. Since STAGES opened in 1987, the company has performed 102 musicals for more than one million people. Audiences come from 238 cities in 30 states. STAGES educates thousands of students annually at its year-round Performing Arts Academy. No qualifying student is ever turned away for financial need. STAGES also sends teaching artists to schools and youth organizations throughout the region. The Urban Arts Initiative provides workshops, semester-long classes, and residencies to underserved schools and community centers. Access the Arts serves children with special needs. In 2015 STAGES produced Missouri’s first sensory-friendly performance for children on the autism spectrum or with other sensitivity conditions. Other programs are Broadway Master Classes, Spotlight on Careers Apprenticeships, Stories@STAGES, and the traveling student groups TeamSTAGES, Triple Threats, and Troupe Broadway. In August 2015, STAGES produced its first original work, a musical revue. The show was the first fruit of STAGES’ new American Musical Creative dedicated to creating new musicals and fostering the next generation of actors, designers, and directors. Nearly 9,500 people live at the crossroads of U.S. Routes 65 and 36 in the rolling farmlands of north central Missouri in Chillicothe, the county seat of Livingston County and a regional hub. Founded in 1837, Chillicothe boomed after the Civil War. In 1928, the city made international industrial history when the Chillicothe Baking Company took a chance on a newly invented machine. Chillicothe has been “the home of sliced bread” ever since. The city’s heritage shines in events like the Sliced Bread Jam Bluegrass Festival and Sliced Bread Saturday with its “Walk in Time” Tour. Artists and audiences from all over north Missouri flock to the city for these assets and others such as Main Street Chillicothe’s ongoing program of huge outdoor murals by local artist Kelly William Poling, the June Art Walk, the free summer concert series Tunes Under the Moon, the Chillicothe Area Community Choir, North Central Missouri Writers Guild, and Gary Dickinson Performing Arts Center. 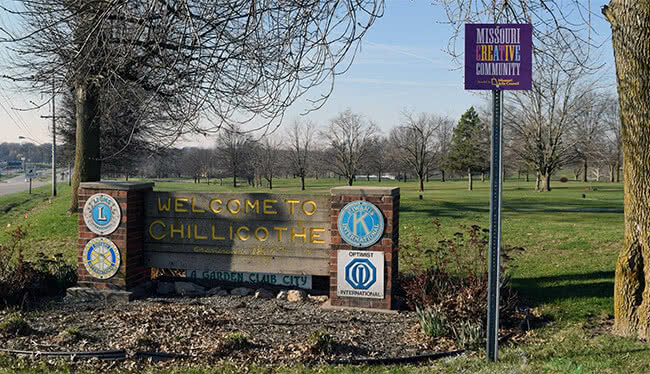 People from more than 150 communities attend events by the Chillicothe Area Arts Council, including performances, exhibits, school residencies, and the two-day Chautauqua in the Park festival. The new Cultural Corner–Art Guild & Gallery provides a raft of hands-on arts activities for all ages, and in summer 2016 opened a downtown building that it renovated for classrooms and gallery space. 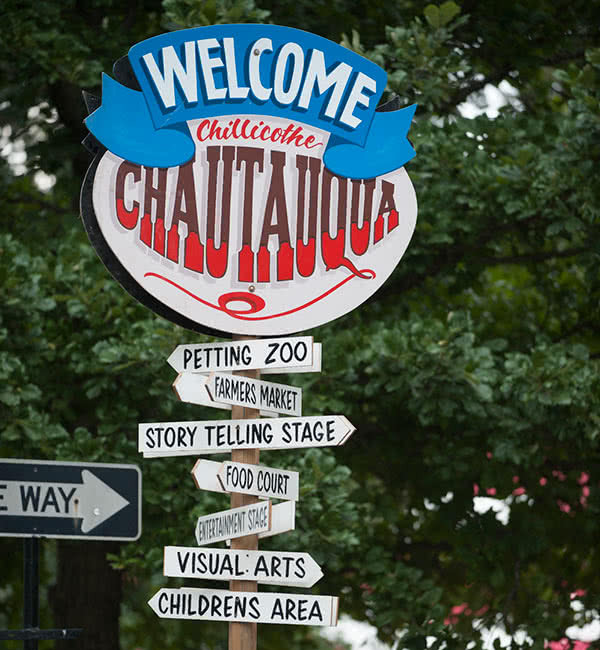 The Chillicothe Area Arts Council and Chillicothe Chamber of Commerce have hosted the two-day Chautauqua in the Park arts festival at the city’s Simpson Park every summer since 1985. 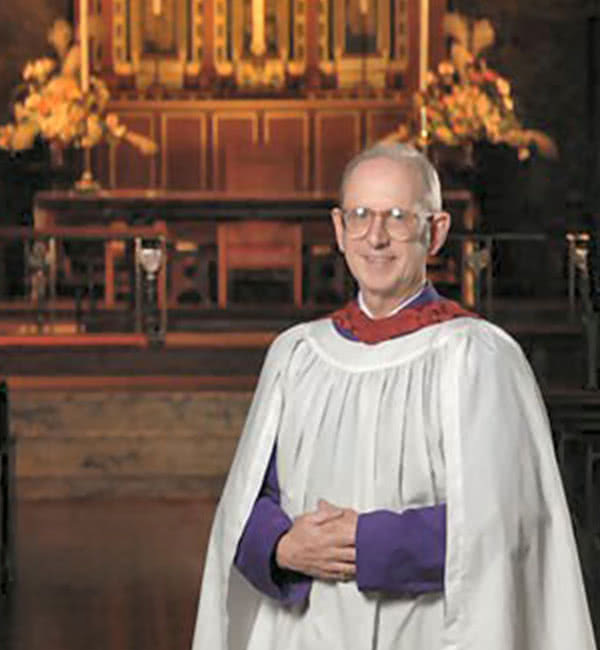 Ohio native John Louis Schaefer came to Kansas City in 1976 to lead the music ministry of the city’s Episcopal Cathedral, Grace and Holy Trinity. As organist and choirmaster, he directs the handbell choir and the four vocal choirs. During the past 40 years he has not only performed as a consummate musician and built a renowned program for the worship services, but has also nurtured music for the entire city. Mr. Schaefer has spearheaded the Cathedral’s development into a welcoming venue for manifold performances ranging from Bachathon by the American Guild of Organists to The Nativity by Paul Mesner Puppets, as well as workshops, rehearsals, student recitals, and special events. He founded and coordinates the Cathedral’s own Organ Series and Summer Music Series. Mr. Schaefer volunteers with several groups including the Friends of Chamber Music and Harriman-Jewell Artists Series. He mentors musicians from students to seasoned professionals. He advocates for upcoming local performances in his widely read weekly email, Invitation and Recommendation. Since 1989, Mr. Schaefer has also been Chapel Organist at Park University in Parkville. 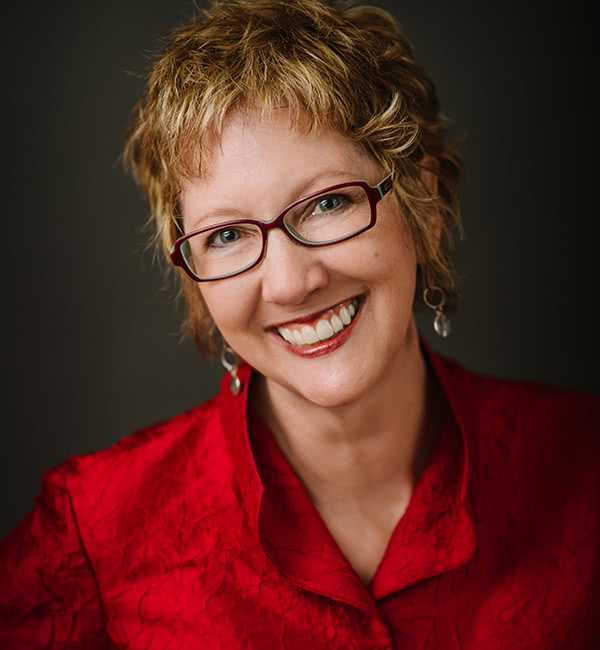 During her 2003-2015 tenure as executive director of Joplin’s George A. Spiva Center for the Arts in Joplin, which had been founded in 1947 to foster performing, literary, and most especially visual arts, Jo Mueller metamorphosed the Center into a leading force. People in the four-state region now have opportunities and experiences that did not exist before she took the helm. Ms. Mueller created a slew of new showcases for artists. She ramped up educational programming and made it accessible to all. She developed a library/public meeting room, gift shop, archived permanent collection, and three year-round galleries, including the Regional Gallery for local artists. She multiplied the number and variety of hands-on art classes. She built collaborations with organizations from Pro Musica to the Lafayette House Domestic Violence Center. Ms. Mueller invigorated community awareness and support for the Center. She swung Spiva into action after the 2011 tornado with programming that helped the community heal through art. Beyond Spiva’s walls, Ms. Mueller has given her talents to Connect2Culture, the Chamber of Commerce’s Cultural Affairs Committee, the Joplin Public Library, Main Street Joplin and more. She is a strong public voice for the arts’ role in the region’s economic development and quality of life. 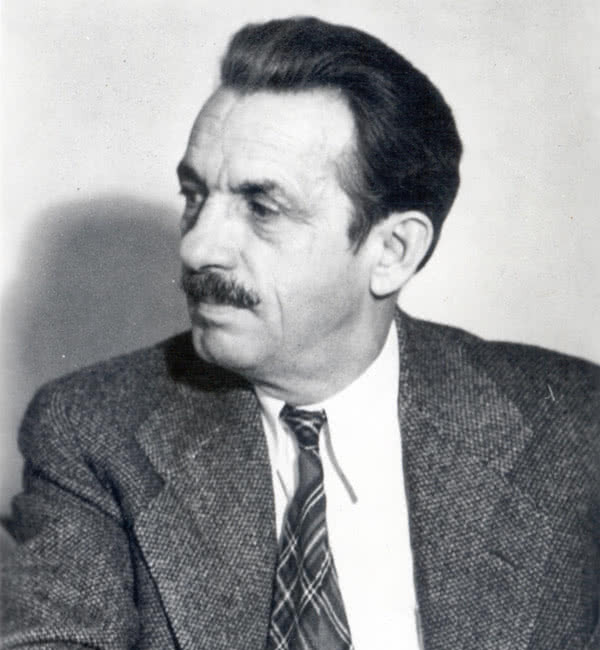 In celebration of the Missouri Arts Council’s 50th anniversary during 2015-16, the 2016 Missouri Arts Awards signature image is by our state’s most celebrated artist: Thomas Hart Benton. A star of the American Regionalist movement, Mr. Benton created fluid, radiant works depicting ordinary people as heroic in their common lives. His contribution to the arts as painter, designer, sculptor, writer, and teacher exemplifies the spirit of the Missouri Arts Awards. Moreover, the Missouri Arts Council has a personal link with Mr. Benton. In 1965, he used his celebrity status to make a successful appeal before a crucial legislative committee that proved a turning point in the drive to establish the Council as a funded state agency. Mr. Benton was born and grew up in Neosho. He studied art in Chicago and Paris and then worked in New York City. In 1935 he returned to Missouri to paint the Social History of Missouri murals that still adorn the House Lounge of the Capitol. He settled with his family in Kansas City. His home and studio are a state historic site preserved just the way he left them in 1975 on the day he died in his studio at age 85 while working on a painting. 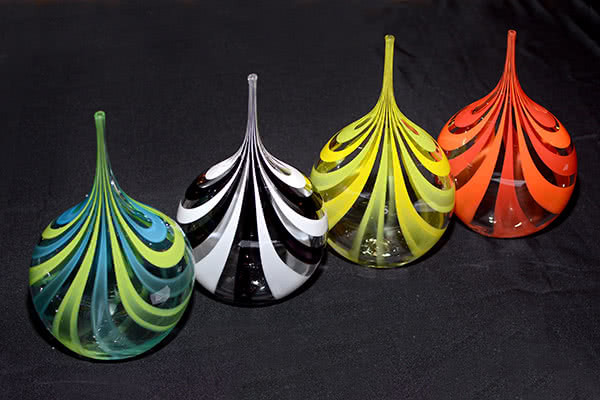 Chris McCarthy’s work is a complex mix of both the hot and cold side of the glass medium. Fascinated with the ability to play with fire to create form, he sculpts each piece, thinking about the effect of light and diffraction. His use of the Venetian design elements of Murrini, Incalmo and Battuto gives his work depth and complexity. He creates simple, elegant forms that radiate and glow with warmth. 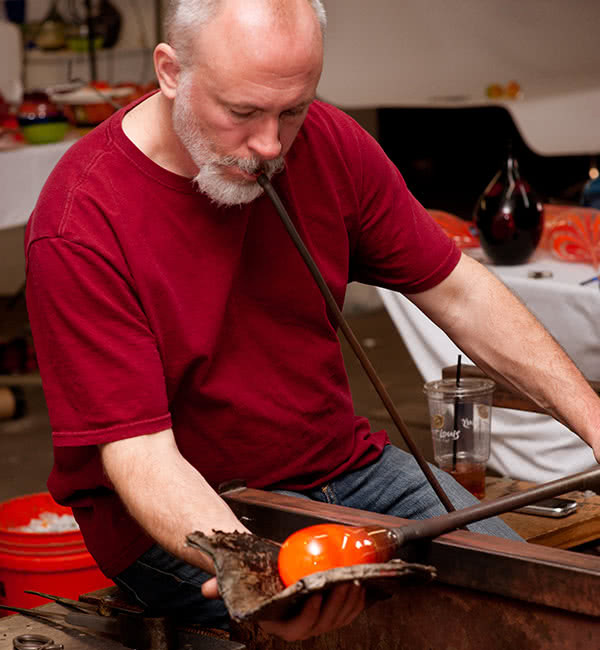 Born in Nashville, Tennessee, Mr. McCarthy started blowing glass in 1987 at Washington University in St. Louis while receiving a business degree. After graduation, he joined his family’s portrait business and helped run it until his family sold the business in 1999. During that time, he would volunteer on the weekends at the City Museum and would do the public demonstrations in the glass studio. After the portrait business was sold, Mr. McCarthy made the switch from part-time to full-time glass artist. He opened his Park Avenue Glass Studio in early 2003. Mr. McCarthy makes both sculptural art glass and functional items including bowls, tumblers, vases, and lighting fixtures. His work can be seen at art fairs, galleries, and private homes across the country and internationally. One of Chillicothe’s signs proclaiming it a Creative Community stands at the entrance to a city park.